Tomorrow we’ll get back into the upcoming Buffalo game. But today I want to pause and honor a man who truly deserves it. I was driving around town yesterday and had the sports radio station on for the tri-hourly update. 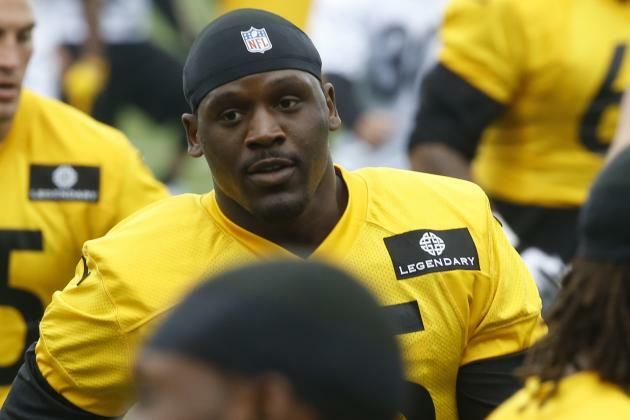 The announcer said that Arthur Moats is the Steelers 2016 nominee for the Walter Payton Man of the Year award, and I knew as soon as I heard it that I would write about him. Moats is one of my favorite Steelers. The timing of this award is particularly fitting as the Steelers signed him as a free agent after he played out his first contract with the Bills. Moats has established himself as a mainstay on the field as well as in the philanthropic circles of the Buffalo community. Since entering the league, he’s maintained a strong relationship with the United Way of Buffalo and Erie County, and this past offseason was named the Bills United Way Worldwide spokesman. Through this role, he’s participated in numerous programs that encourage donations, whether through money or time, to the local community. During the holiday season for the past two years, Moats has hosted students from the Closing the Gap/Say Yes to Education schools for a holiday shopping spree, providing each student with a $300 gift card to spend on holiday gifts for themselves and their families. Helping children lead healthy, happy and productive lifestyles is one the central motives behind many of Moats’ charitable efforts. In one of his numerous school visits, he spent time in the offseason at Buffalo’s Academy for the Visual and Performing Arts where he urged students to pursue their artistic passions. He continues to energize children through the NFL’s Play 60 initiative both in his spare time and through team-facilitated community events. In his hometown of Portsmouth, Virginia, Arthur made a $5,000 contribution to his high school’s football program through the NFL Foundation’s Matching Grant, as well as an additional $2,500 to the school’s art program, blending together two of his greatest passions. Through these efforts and many more both on and off the football field, Moats continues to share his time, talent and treasure to better the lives of those around him, earning him the 2013 Bills Walter Payton Man of the Year Award. This wasn’t the only award he won while with the Bills. The same year he was also the winner of the Ed Block Courage Award. Ask him to go to a charity event, and he says yes faster than you can explain what it is. He supports the U.S. Military through visiting patients at the VA Hospital. Moats, who is blessed with three healthy children, visits Children’s Hospital in Pittsburgh to spend time with the patients [and] assisted on the phone bank during a recent telethon. He was part of a cooking competition for breast cancer survivors as part of the NFL’s BCA initiative. He takes kids shopping at Christmas. He recently donated money for a group of kids identified by a Salvation Army program to get bedroom furniture. He takes his family to bake cookies at the Ronald McDonald house. He and his wife gave a substantial donation—about half his initial contract with the Steelers—to their alma mater. Be sure and read the linked article, as I have only included a small portion of it. The depth and breadth of his charities are inspiring. They are all the more impressive as Moats describes himself and his wife as “very frugal.” This is in part to enable them to be generous when a need arises. It is worth remembering that, at least in NFL terms Moats is scarcely a highly compensated player. This year he is being paid just over $3 million. That sounds like a lot of money to most of us, but it is easy to forget that there is always the possibility any of these players could sustain an injury which would not only end their NFL career but might make it difficult to work at anything. The money they make in their few years in the NFL might have to sustain them for a long time afterwards, or at least what’s left of it after the taxmen and agents and suchlike take their toll. I’m grateful that this fine young man is a part of the Steelers organization, and I hope he has about five sacks on Sunday, making the Bills wish they had never let him walk. To further celebrate and support the nominees, Nationwide will host the second annual Charity Challenge. As part of the social media challenge, each nominee will have a unique hashtag. The player hashtag that generates the most mentions will win an additional $25,000 donation to his charity of choice, courtesy of Nationwide. Fans are invited to vote for their favorite nominee by using that player’s unique hashtag on any social media platform starting on December 12, 2016, and ending on January 8, 2017. Three of the 32 nominees will be selected as finalists, and the winner will be announced in Houston at NFL Honors, a two-hour primetime awards special to air nationally on February 4, 2017, the night before Super Bowl LI, from 8-10 p.m. (ET and PT) on FOX. For more information on all team nominees and the award, visit www.NFL.com/manoftheyear.